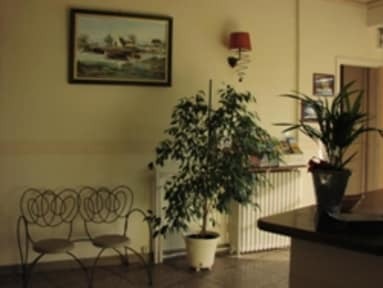 The hotel is situated close to the heart of the old town, in proximity of the SNCF railway station, the bus terminals and many car-parks. Monuments and city museums are near and within walking distance from the hotel. the reception is open 7h30 until 22h00, after is impossible check in. Please Note: We do not provide extra beds to add into rooms. If you book a 3 bed room we can only allow 3 people in this room. We do not provide extra beds to add into rooms. Very friendly gentlemen at the front desk. He let us store our bags as we checked in early. Room was comfortable and extremely clean. Easy walk from train station and convenient to the sites.